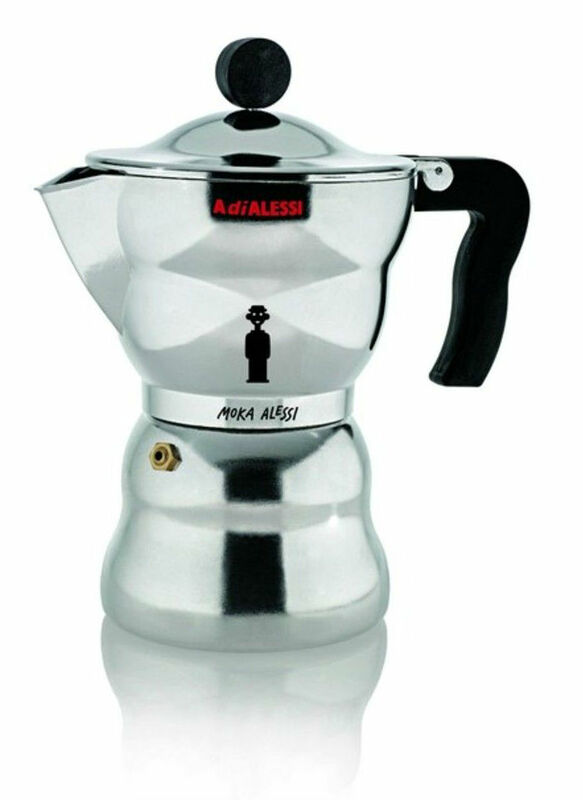 BIALETTI - THE HISTORY OF THE "MOKA EXPRESS"
Did you know that ALFONSO BIALETTI (1888-1970), the inventor of the iconic stove-top espresso coffeemaker, is also the grandfather of Alberto Alessi, today’s Managing Director of ALESSI? 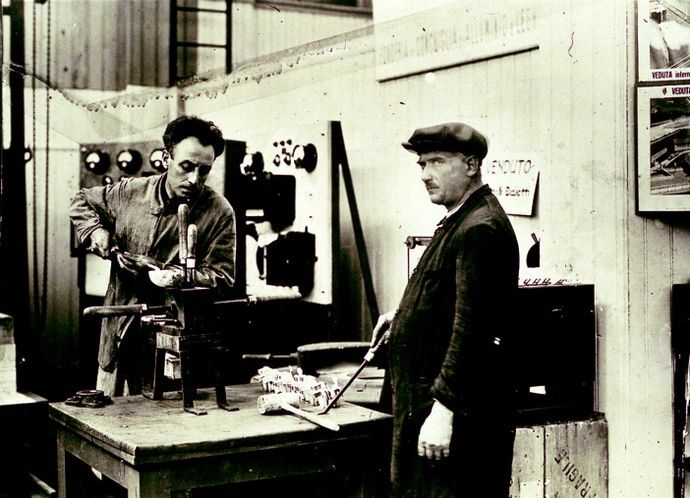 In fact, whilst Alberto’s paternal grandfather founded the now famous name in design kitchen utensils Alessi in 1921, his maternal grandfather had established his own Bialetti company already two years earlier, after acquiring first metal-working skills in France over some ten years. He went on to develop his company into a studio for design and production of aluminium products and by1933, his design for the simple yet elegant Bialetti “Moka Express” was ready. Alfonso Bialetti in his early workshop "The Anatomy of Perfection"
Since its creation, the “Moka” has become the world’s most famous coffee pot and has been cited in the Guinness Book of Records as well as in various essential design books; it has also provided inspiration for modern designers. Some people simply call it one of the essential Italian icons or an admired example of “Made in Italy”. Being produced in die cast aluminium, the Moka was at the time also rather revolutionary as the use of this metal for domestic purposes was not common. However the Moka’s advent and success heralded a golden era generally for aluminium kitchen products by the mid-1930s. Alberto Alessi, in an article for "disegnodaily", recollects memories of his grandfather whom he describes as a "dreamer" and as "one of those genial craftsmen who are not so rare in Italian history", more interested in producing well-designed and well-manufactured products than in the commercial aspects of the business. Alfonso's wife Ada said that during the period when he conceived the Moka in the early 1930s, he used to fall asleep in his armchair in the evening with the prototype of his coffemaker in one hand (evidently very proud of it and constantly examining it from every angle to see whether it could have been made better still) and a Tuscan cigar in the other. She frequently had to take the cigar away from him to prevent a fire. Between 1934 and 1940 the humble Moka was sold only locally by Alfonso himself at markets in Piedmont, and only 70,000 units were produced in those years. However, it was to eventually transform Bialetti into a leading Italian coffee machine designer and manufacturer. In fact, after the war his son Renato came back from detention in Germany and, having exactly the opposite personality, took over the the management of the company. It was under him that the Moka was launched as a mass-produced object in the 1950s. 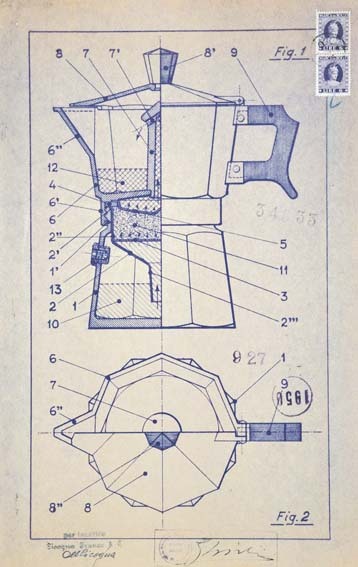 Prompted by its success, countless copy-cat designs appeared in the market and Bialetti realized early that advertising was to be a key strategy for the firm. 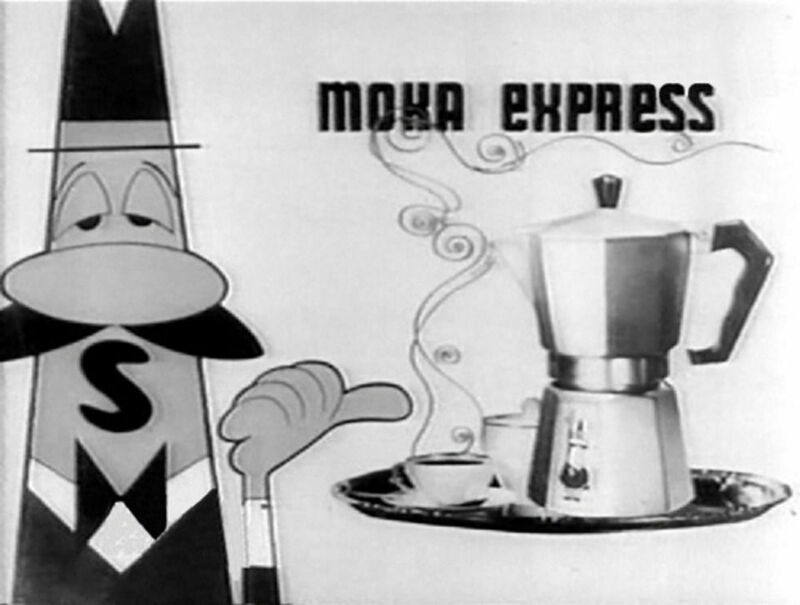 The company logo, with the famous “omino con i baffi” (the “little mustachioed man”) as mascot was created in 1953, together with television ads featuring humorous cartoons around it – it has been said that the mascot was actually a caricature of Bialetti himself. By 2001 more than 220 million units had been sold. Octagonal in shape and inspired by Futurism and Art Deco, the Bialetti Moka Express is an archetype of both its time and type. Recently it has even been bestowed the status of "proto-Italian design". The fact is that it is now inscribed in the collective memory of the Italian people, as it formalised the ritual of making coffee at home for several generations. In 2011 Alessi launched its own "Alessi Moka" coffemaker, following the lines and character of the original Moka and effectively paying a fitting tribute to Alberto's grandfather.